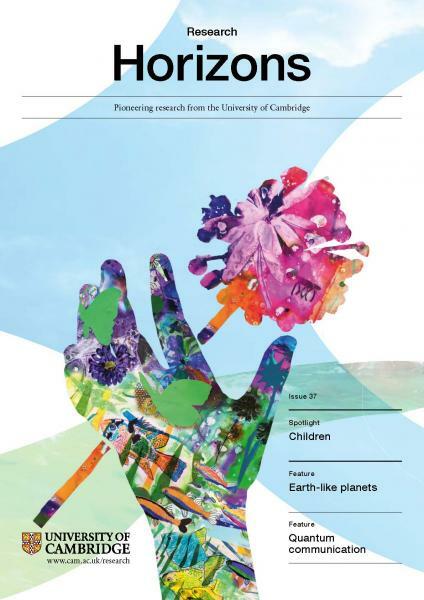 Welcome to our new ‘Spotlight on children’, a focus on research taking place at the University of Cambridge relating to children and childhood – from health to education, language to literacy, parents to playtime, risk to resilience. We address some of the big questions, such as what are the origins of mental health and why are teenagers so vulnerable to mental disorders? We take a life course and multidisciplinary approach to the problem: from a child’s genes and clinical development in the womb, through the neuroscience and psychology of learning disorders, to psychiatric approaches aimed at understanding why some children are more at risk of developing mental health problems in later life and why some are resilient. We also ask about life experiences. Tragically some children and their mothers are exposed to violence and drugs before they are even born, or grow up in communities entrenched in crime, and where healthcare systems are failing. Yet we know little about the effects of adverse environments – on people and on the stability of societies in which they become citizens. A pilot study to understand what it means to be a child of the city today is following 1,200 children in eight cities in all major regions of the Global south. Education features prominently in our research. In India, for instance, researchers are working with local partners to ask whether low learning outcomes could be a by-product of an Indian school system in which the language that children are taught in school often differs to the language spoken at home. And in Cambridge, where the University of Cambridge Primary School is sponsored by the University to provide education for the local community in North West Cambridge, we examine how the School places research at its heart – in both informing education practice and in furthering research at Cambridge’s Faculty of Education and elsewhere. What about the role of parents? It’s clear that our mothers, fathers and families affect our lives and the people we become, but are we focusing too much on the ‘skill’ of parenting and losing sight of things that matter more – like how we talk to and play with children? Researchers are piecing together the complex jigsaw that involves families, language, play, and physical and psychological health to better understand what gives a child the best chance in life. “The modern digital age challenges us to cope with rapidly changing settings at home, school, work and leisure,” says Professor Zoe Kourtzi from the Department of Psychology. “Our propensity to learn and rapidly adapt is thus central to 21st-century life. These challenges are particularly marked in the early and later periods of life, when young children are preparing or progressing through years of intensive education and older adults are facing major changes to their health and social circumstances. Some of our research is having unexpected effects – such as a book of ‘lost words’ that encourages children to love and protect the natural world. Thanks to crowdfunding campaigns, the book is appearing in primary schools across the UK – an outcome that has surprised and moved its creators, who hope the book will help to bridge social gaps in the uneven distribution of access to nature. Underpinning much of the Spotlight is the idea so eloquently put by the 19th-century American social reformer Frederick Douglass: “It is easier to build strong children than to repair broken men”.